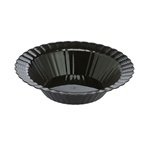 Choose from several brands of disposable dessert dishes for ice cream shops and restaurants. 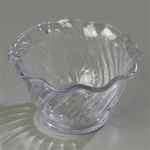 We sell parfait cups and sundae dishes that are clear and disposable plastic. Emi Yoshi, Covalence Plastics and WNA Comet are the leader in disposable plastic Dessert cups for catering events and cafeterias. Keep your patrons coming back often with great desserts. 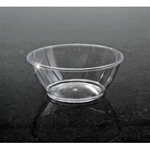 EMI Yoshi Resposable Plastic Clear Dessert Bowls - 5 oz. 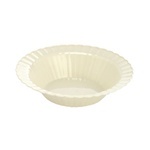 EMI Yoshi Resposable Plastic White Dessert Bowls - 5 oz. EMI Yoshi Resposable Plastic Bone Dessert Bowls - 5 oz. 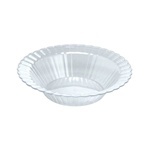 EMI Yoshi Resposable Clear Plastic Dessert Bowls - 12 oz. 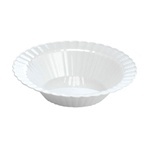 EMI Yoshi Resposable White Plastic Dessert Bowls - 12 oz. EMI Yoshi Resposable Bone Plastic Dessert Bowls - 12 oz. EMI Yoshi Plastic Resposable PET Lid For Sundae Dishes Clear - 15 Oz. EMI Yoshi Plastic Clear Ware Dessert Cup 6 Oz. 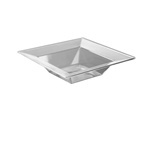 EMI Yoshi Plastic Squares Dessert Bowl Clear - 5 Oz. 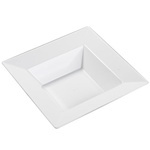 EMI Yoshi Plastic Squares Dessert Bowl White - 5 Oz. EMI Yoshi Plastic Squares Dessert Bowl Bone - 5 Oz. 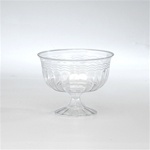 Round Clear Polystyrene Dessert Dish - 6 Oz. 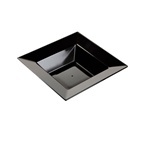 Black Polypro Dessert Dish - 6 oz. Speciality Dish - 12 oz. 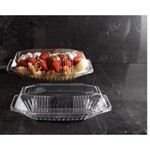 Buy your wholesale Dessert Dishes from the leader in restaurant supplies!